Adoption rates for solid state storage are low. Flash and Solid State Drive (SSD) technology might be ultra-fast but it lacks a comprehensive toolset for data management and optimization. 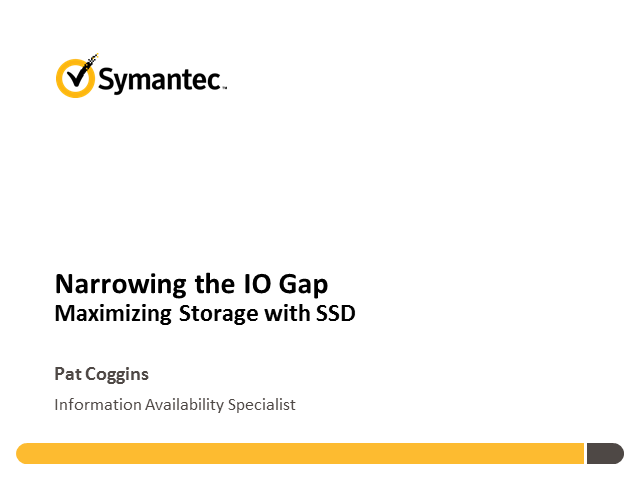 So join Ian Wood as he shows you how you can narrow the I/O performance gap, manage storage better and make the most of Flash, SSD and your storage infrastructure.